Learn more about sellers of contraband faucets. As of January 1, 2017 Altmans has ceased business and will no longer service its warranty. Replacement parts for Altmans faucets may be available from Auburn Bath International at 800-377-7239. Tekvilla sells mostly tools; home, auto, and computer accessories, pet supplies and lighting. It sells just a half-dozen faucets. All of its products are sold as private brands, including Amzdeal and Prodeals. Thirty-day return at customer expense. Shipping charges will not be refunded. Otherwise, no product warranty. Information on Amazon states that a faucet may be returned to Pennsylvania but no address is provided. We believe the address is probably 1 Maxson Drive Old Forge, PA 18518. Aquafaucet LLC is a California limited liability company formed on March 30, 2016 and owned by Daniel Xuan Ding. It is the North American distributor of faucets and other sanitary wares manufactured by Zhejiang Aquafaucet Sanitary Wares Co., Ltd. of China. Mr. Ding is an engineer formerly employed by Zhejiang DunAn Valve Co., Ltd.
Aquafaucet brand faucets are sold by a number of different third-party sellers through several hosting websites. The name is registered in the U.S. by Aquafaucet, LLC. The company also sells bathwares under the Bathfinesse, BWE, and Homevacious trade names, all of which are also registered trademarks of Aquafaucet LLC. It sold Eyekepper brands but that relationship appears to have ended. Aquafaucet operates entirely through hosting websites such as Amazon and DHGate. It does not sell from its own website or through regular plumbing supply channels. Aquafaucet does not provide telephonic customer support, replacement parts or warranty assistance of any sort in the U.S. Once you buy one of its faucets, you are on your own if it breaks after 30 days. Zhejiang Aquafaucet Sanitary Wares Co., Ltd.
Shenzhen Temtop Technology Co., Ltd.
Shenzhen Temtop technology Co., Ltd, established in 2008, Specializes in production and export of electronic products to different countries. Its principal products include LED lights, E-books, Tablet PCs and MP3, -4 and -5 players. It does not mention faucets or other sanitary ware on its website. Temtop does not manufacture Auralum faucets but may add electronic features to faucets made by others. The Auralum name was filed for registration as a trademark by Temtop in 2015, then abandoned in 2016 after opposition to the filing by an American electronics company was sustained by the patent office. 14F.-3, No 57, Fuxing N. Rd. Barber Wilsons & Co., Ltd.
Barnett Brass & Copper, Inc.
SRDesigns, Inc. is a California corporation that, according to its website, was formed in 2008 by Steve and Marcy Ragan to design and build customs homes in the San Diego area. 1. SR Designs also sells Luxice faucets. 2. The address is a private residence. 3. The trademark Beatifaucet is owned by an individual, Qian Wang of Jianmin Village 166, No. 1465 Zhongshan North Road, Putuo District, Shanghai China. 4. Wenzhou Yutong Technology Co.,Ltd. also manufactures faucets sold under the UFaucet, Greenspring, and Yodel brands. Wenzhou Borui Electronic Commerce Co.,Ltd. Becola and Bakala are trademarked in the U.S. by Wenzhou Borui Electronic Commerce Co.,Ltd., a Chinese trading company. In the past two years it has been sold online by at least six seller names, most of which pop up and are gone again in a few months. We believe based on limited evidence, that most are aliases used by Borui. 1. This telephone number is never answered. The caller is invited to call back later or e-mail to an address that turns out to be Big Electron Liquidators a California limited liability company that was dissolved in March, 2018 and no longer exists. 2. Bela Sanitary also manufactures and sells Bela and Beelee faucets. Bela Sanitary is a Chinese sanitary wares manufacturer founded in 2001. It sells faucets and other sanitary ware worldwide as Beelee and Beelee, Inc. from its home base in Zhejiang Province. It does not have a physical presence in either the U.S. or Canada, and relies on hosting websites like Amazon and DHGate to sell and deliver its products. Tubular Industries of Canada, Ltd.
Our panel of consu­mers and industry professionals has recognized Brizo fau­cets as the best value in luxury fau­cets mdade in North America. 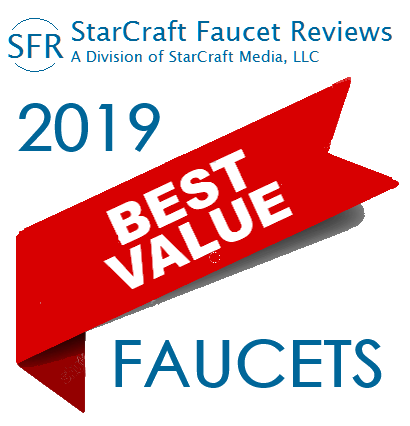 Read the 2019 Best Faucet Value Report. Foremost Import LLC is an importer of faucets, showers and accessories from Taiwan, including a selection of mobile home tub and shower faucets. It describes its products on its website as being "covered with comprehensive warranty" but the warranty is not on its website and we were unable to find any form of warranty on any of the hosting sites on which it sells faucets. We tried to contact the seller about its warranty but the contact form on its website does not actually work. Builders Shoppe is not a registered trademark. Our panel of consu­mers and industry professionals has recognized California fau­cets as a best value runner up in North American Mid-Priced fau­cets. Century Construction Supply, LLC was formed in Kansas on April, 2016. At the time we checked its credentials with the Kansas Secretary of State, it was characterized as "delinquent" and subject to suspension or dissolution. Wen-Hua You and William You also own Sun Marble, LLC; Vorona, LLC and Innotech, LLC, all at the same warehouse address, doing business as InnoDeck, Build4Eco, Granite Tops KC, and Affordable Granite of KC as well as Sun Marble. The signage on the building identifies the occupant as Sun Marble. The company claims that its faucets are certified by IAPMO-RT, one of the seven accredited testing organizations authorized to certify faucets to North American standards. IAPMO-RT, however, lists no certifications for the company. Century Home Living is not a registered trademark. Xiamen Forbetter Sanitary Ware Co., Ltd.
"CleanFLO provides a Lifetime Warranty on the Faucet to be free of defects, and a one year warranty on the sprayer head. If you experience a problem, CleanFLO will provide parts to bring the faucet back in working order." Madgal, organized in 1973, is an Israeli manufacturer of faucets. 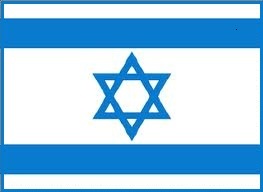 Most of its products are sold in Israel. It is the owner of the cleanFLO trademark as it applies to faucets in the U.S. It maintains a cleanFLO website which is in English and provides a method of contracting Madgal about any issues with its faucets. 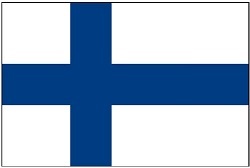 The company has no physical North American presence. It relies on hosting websites like Amazon to sell and deliver its faucets to North American customers. Foshan Yajiasi Kitchen Cabinet Co.,Ltd. Foshan Yajiasi Kitchen Cabinet Co.,Ltd. is a Chinese cabinet and furnishings manufacturer, primarily for the export market. The company also imports and sells lighting fixtures and sanitaryware, including faucets. It does not manufacture its own faucets but imports them from various Chinese export brokers and manufacturers. 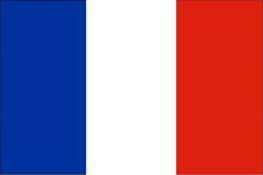 It has no physical presence in the U.S. or Canada but operates solely through hosting websites such as Amazon. The company also trades as Friho, Hotis, Shaco, Vapsint, and VC Cucine. The Comllen trademark was registered by Yan Jun, 3-403 Jin Yuan Garden, 32 Lao Dong East Rd., Yuhua Qu, Changsha Shi, Hunan Sheng 41007 China. Foshan Xuansha Furniture Co., Ltd.
HK VCCucine Kitchen & Vanity Co., Ltd.
Foshan Shunde VC Cucine Co. Ltd. Convenience Boutique sells a variety of imported goods including furnishings, beauty and health products, bath vanities and accessories and outdoor furniture as well as faucets. Four other enterprises — Affordable Variety, Online Gym Shop, Virtual Mega and FitnessGoods 4 All — share the same mailbox store address, telephone number, and website format. All sell similar products. We believe these entities to be under common ownership. 1. The address is a Mailbox store. Yadanli Sanitary Ware Industry Co., Ltd.
Banyan is an importer of Asian, African and Latin American goods that it sells on hosting websites like Amazon. It may intend to also sell through its proprietary website, Banyan by L.A. but if so, the site is far from ready. 1. Cronus is a broker that purchases goods from multiple manufacturers in Asia for the benefit of overseas buyers. The actual manufacturers of the faucets sold by Banyan Imports is unknown. D'Vontz is a distributor and retailer of sinks, stone countertops, bathroom vanities and showers as well as sink faucets. It buys faucets from Vancomp International Co., Ltd., a Taiwanese manufacturer of faucets, showers, and bath accessories. The products are sold over the internet and through plumbing showrooms. 1. The company logo is displayed with the ® symbol indicating a regitered trademark. However, the U.S. Patent and Trademark Office cancelled the registration in 2016. 2. As of June 26, 2018, D'Vontz, LLC is listed by the Oklahoma Secretary of State as "inactive". Our panel of consu­mers and industry professionals has recognized Danze fau­cets as the best value in mid-priced faucets made in Asia. Our panel of consu­mers and industry professionals has recognized Danze fau­cets as a runner-up for best value in mid-priced faucets made in Asia. faucet lines are reviewed separately elsewhere in this index. Our panel of consu­mers and industry professionals has recognized Delta Fau­cets as the best value in mid-priced faucets made in North America. Xiamen Weco Kitchen & Bath Industry Co., Ltd.
Derengge is the registered trade name of a Chinese manufacturer that sells faucets and bath accessories directly to North American customers. It has no physical presence in North America and operates entirely through hosting websites such as Amazon on which it relies to sell and deliver its products. The faucets are certified to U.S./Canadian standards but have not been registered with the Department of Energy as required by federal law and are not, therefore, legal to sell in the U.S. Canadian sales are not affected. Derengge faucets are not approved for sale or installation in California or Massachusetts. De­rengge bathroom sink facuets are prohibited in Colorado unless certified Watersense® qualified. The company claims on Amazon to offer a 1-year warranty, however it was unable to provide a copy of the written warranty on our request. Weco also manufactures faucets for all sold by U.S.-based companies. The company states that it offers a 1-year warranty on its faucets. We have not read the warranty. We have contacted the company for a copy of the warranty but have received no response to this request or any other e-mail sent to the company. Replacement parts are sent from China and may take as long as eight weeks to arrive. 5205 West Donges Bay Rd. The company states that it offers a 5-year warranty on faucet parts but could not provide an actual written warranty document. Designers Impressions claims that its faucets are "CSA, NSF, UPC & ADA" certified, a claim that is not true. None of the seven accredited testing organizations show a listing certificate for Designers Impressions faucets. Its faucets are not legal to sell in the U.S. or install in drinking water system anywhere in North America. Detroit Bathware, LLC. is a Michigan limited liability company formed in 2012 and owned by Rui Hao. It is an importer of faucets and other bathwares from China. It sells as Detroit Bathware, Yanksmart, and Washly® on hosting websites. The business appears to be conducted from the owner's private residence, and its inventory is stored in public storage facilities. There is no evidence that we have found indicating an actual business facility that includes warehousing. The company does not maintain an active website under the Detroit Bathware name. Its faucets are not certified to U.S./Canadian standards and are not legal for sale under U.S. law. 1. The addresses are private residences. Other addresses found on bills of lading were for public storage facilities. 2. These are trading companies, not manufacturers. The actual manufacturer(s) of faucets sold by Detroit Bathware, LLC are unknown. Efluky imports and sells a hodge-podge of products including accessories for vacuum cleaners and Glock pistols, phone and PC peripherals, showers, and faucets. 1. The address is a private residence. Kaiping Longding Sanitary Ware Co., Ltd.
Elite Home Products imports and sells sinks, faucets, bath furniture and accessories. The Elite logo and Elimax's name and logo are a registered trademarks of Mega Lion, Inc. The company sells on Amazon and other sites as both Elite Home Products and as Mega Lion using the trade names Elite and Elimax. Elite Home Products Limited Inc.
No.26 A Qu Yanda Rd. Sales of Eljer faucets were discontinued in North America in 2016. Current owners will still have parts and warranty support from which will continue to honor any warranty on Eljer faucets. The U.S. trademark, Everflow, is registered by Everflow Supplies, Inc. The company claims that its faucets are lead-free but while we have found lead-free certificates for other Everflow fittings such as shut-off valves, we have found none for its faucets, and do not find the claim credible. The faucets are not certified compliant with the Energy Policy and Conservation Act as required by law (42 USC §6201 et seq) and as a consequence may not be legally sold in the U.S.
Taizhou Friendship Valve Co., Ltd.
Eviva is an importer and distributor of bath furnishings, accessories and sanitary wares, including faucets. The company also uses this address: 144 E Rt 4 Paramus, NJ 07652. Eviva is associated with Decors-US, LLC, (201) 561-7399 (formerly Decors-R-US), and Galleria Ceramica Cleoppatra of New Jersey, LLC. through common ownership. The U.S. trademark, Eviva®, is registered by Eviva, LLC. Kaiping Freendo Sanitary Ware Co Ltd. The name Eyekepper is registered in the U.S. by Eyekepper Global, Inc. as a trademark for sanitary wares. Its parent company, Wenzhou Eyekepper e-Commerce Co., Ltd., is a general merchandiser specializing in eyeglasses, women's formal wear, and faucets — a truly bizarre combination. Zhejiang Yuhong Im Export Co., Ltd.
Bomei Sanitary Ware is a Chinese manufacturer of bath and kitchen faucets and bathroom accessories that it sells over much of the world under the FLG brand. It specializes in automatic faucets with electronic sensors. The FLG trademark is registered by Chunmei Cao A/K/A Barbara Cao, 499 Yongqiang Ave., Tianhe Town, Longwan District, Wenzhou City, Zhejaing, China. Ms. Cao is a Bomei employee. Fontana Showers, LLC. is a Virginia corporation founded in 2018 and owned by Maysara Kahlid Sadiq, also known as Maysara Elsadek. It is an importer of faucets and showers from China and Taiwan. Neither faucets nor showers are certified to U.S./Canadian standards and neither are legal for sale under U.S. law. 2. On its website, Fontana depicts the name FontanaShower with a ® mark indicating that it is a registered trademark. Trademark and Patent Office records show that it is not registered. Horizon, Inc. applied for a trademark on "Fontana Showers" at one time but the application was abandoned in 2016. It is illegal under U.S. law to use the ® symbol unless the trademark is, in fact, registered. 3. Mr. Sadiq also owns Horizon, Inc. and the former JunoShowers Co.(now terminated by the Virginia secretary of state for non-compliance with Virginia corporation law). Juno sells nearly the exact same merchandise as Fontana Showers. Horizon sells similar plumbing products as well as electronics. Both Juno and Horizon, Inc. have dismal records with the Better Business Bureau with a rating of "F" on a scale of A+ to F, for failing to satisfactorily handle customer complaints. Fontana Showers is too new to have a BBB record. 4. Fontana showers are sold on Amazon by Horizon, Inc. trading as Horizon Direct Depot which also sells under the Cascada Showers and Detroit Bathware trade names. FSA Imports slosed its doors in 2013 and is no longer in business. Its former owners have resurrected the business as a new corporation chartered in Nevada. Italia has "acquired" the Fontaine brand name. 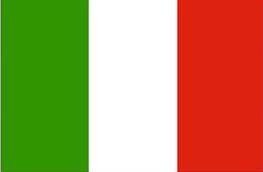 However, Italia disclaims any responsibility for the warranty on Fontaine faucets sold by the FSA Imports and does not have replacement parts for Fontaine faucets. We know of no parts source. Foshan Yajiasi Kitchen Cabinet Co., Ltd. has manufactured cabinets and furnishing for over 20 years, many for export but it also sells in China through its over 100 distributors. The company also sells lighting fixtures and sanitaryware, including faucets. There is no indication that it manufactures its own faucets but we have not been able to identify the actual manufacturer(s). Yajiasi Kitchen Cabinet also trades as Comllen, Hotis, Shaco, Vapsint, and VC Cucine. Sales of Fusion faucets were discontinued in North America in 2012. Current owners will still have parts and warranty support from which will continue to honor the Fusion warranty. See the full report for more detail. Our panel of consu­mers and industry professionals has recognized Gessi fau­cets as a best value runner up in mid-Priced fau­cets made in Europe. Guangdong Hongqi Furniture Co., Ltd. The company states on Amazon that it iffers a lifetime warranty on some faucets, on othersa 5 year warranty. There is no warranty document posted online, so the terms, conditions and restrictions of the warranty cannot be ascertained. We have asked for a copy of the written warranty. Goldkey Technology Co. manufactures primarily for the home market in China where it sells under the Avola brand. Avola has been registered as a protected trademark in the U.S., Gicasa, however, has not been protected as a brand for faucets and sanitary wares. Guangdong Goldkey Tecnology Co., Ltd.
Our panel of consu­mers and industry professionals has recognized Graff fau­cets as a best value runner up for luxury fau­cets made in North America. Wenzhou Yutong Technology Co. Ltd.
Yutong is a Chinese manufacturer of faucets and other sanitary wares made of metal. The company does not maintain a website. It owns the trade name "Greenspring" in the U.S.
Hangzhou Bingo E-Commerce Co., Ltd.
Bingo is a general merchandiser that, according to its website, specializes in women's apparel that it sells under the "Lovely" brand in Asia. There is no hint on its website that it also dabbles in faucets and other plumbing fixtures. It is the owner of the trademark "Guma" in the U.S. as it applies to plumbing fixtures. Hamat Sanitary Fittings & Castings Ltd.
Hamat has discontinued faucet sales in North America. The company has made arrangements for parts access to existing customers through TAPCO, a division of Elias Industries, Inc., and the North American source for parts for a number of faucet companies. For original Hamat replacement parts in North America, contact TAPCO at 1-800-782-0658. Our panel of consu­mers and industry professionals has recognized Hansgrohe fau­cets as a best value runner up for luxury fau­cets made in Europe. Our panel of consu­mers and industry professionals has recognized Herbeau fau­cets as a best value runner up for luxury fau­cets made in Europe. Note: Ebonder, Inc. was dissolved by the Georgia Secretary of State on 9/7/2018, and no longer has a legal existence. Amazon, eBay, Walmart (online only). The U.S. trademark Hiendure® is registered to TongHai Trading Co.,Ltd. In the EU, the trademark belongs to Ebonder, Inc. The interwoven nature of Ebonder and TongHai throughout the world market suggests strongly that TongHai is the actual owner of Ebonder, Inc. but have not been able to confirm ownership. TongHai is a wholesaler that distributes Hiendure faucets, showers and accesssories to North America, the United Kingdom, Australia, New Zealand and Western Europe. For the most part the products are sold through the local Amazon site in each country. Ebonder, Inc. is a Georgia corporation formed by ShuangShuang Zhu in 2014. It imports faucets, showers and bath accessories from TongHai into the U.S. and sells them over the internet under the Hiendure brand at hosting websites such as Amazon, E-bay, and Walmart that are willing to support sellers of contraband goods. 1. Wenzhou Fyeer Sanitary Ware faucets are also sold under the Luxice brand by SRDesigns, Inc. Luxice faucets are also contraband. Lu Haichuan, an officer of Aukey E-Business Co., Ltd., applied on behalf of the company to register "Homitex" as a trademark in 2015 but the application was abandoned after a trademark examiner determined that the name would likely be confused with "HomeTek Pacific", an existing mark. Zhejiang Greenspring Sanitary Ware Co. Ltd.
Yajiasi Kitchen Cabinet also trades as Comllen, Friho, Shaco, Vapsint, and VC Cucine. Tian Cai Yang of No. 3 Lane 3, Xinji Road, Beijiao Town, Shunde District, Foshan 52800 China has registered the trademark "Hotis Home", which was subsequently assigned to Yajiasi Kitchen Cabinet Co. The name "Hotis" is not a registered mark. IKEA North American Services, L.L.C. a division of IKEA Holdings U.S., Inc.
Our panel of consu­mers and industry professionals has recognized In2a­qua fau­cets as the best value in luxury faucets made in Europe. Sales of Jado and which will honor its warranty on its former lines of luxury faucets. "All parts of the KES product are warranted to the original consumer purchaser to be free from defects in material and workmanship ("Defect") for a period of one (1) years [sic]. This warranty is made to the original consumer purchaser and shall be effective from date of purchase as shown on purchaser's receipt … During the warranty period, if Defect is confirmed by KES's inspection, KES may, at its sole discretion, repair, provide a replacement of any part or the whole product, or make appropriate adjustment." Keshili Sanitary is a Chinese manufacturer of faucets primarily for export. It manufactures Amzdeal and Prodeals faucets sold by Tekvilla as well as KES faucets sold by KES Home (U.S.). The name KES is a registered trademark of KES Home (U.S.) in the U.S. In China it is registered by by Keshili. Guangzhou Weisihui Home Co., Ltd.
Guangzhou Kingsun Sanitary Ware Co.,Ltd. is a chinese company that manufactures sanitary wares primarily for the export market. Its principal products are tubs and shower cabins but it also makes faucets, showers and metal accessories for the bath. 1. Not to be confused with Kingsun USA, Inc. of Maspeth, New York, trading as Sink Authority, selling DuBeta brand faucets made by Ixiss Sanitary Ware Industrial, Co., a Chinese manufacturer. DuBeta faucets are fully certified to joint U.S./Canadian standards and are legal to install in the U.S. or Canada. The two enterprises do not appear to be related by common ownership. The word "Kinsgun" is not a registered trademark in the U.S. or Canada, and is available for use by anyone. Our panel of consu­mers and industry professionals has recognized Kohler fau­cets as a best value runner up for luxury fau­cets made in North America. City of Industry, CA 91748. The company website refers to a 5-year manufacturer's warranty. A copy of what appears to be the written faucet warranty refers to a 1 or 5 year faucet warranty. Our request for the further details of the warranty was not answered. This address is a private residence. The Better Business Bureau rates Kokols USa a D+ on a scale of A+ to F for failing to respond to customer complaints. The business is not BBB Acredited. 1. Yin Kai Fang filed a trademark application for the word "Kokols" in 2011. For subsequent failure to file a declaration indicating that the name was still in use in 2016, the registration was cancelled. Mujia Sanitary Ware Factory, Ltd.
Wenzhou Langpai Sanitary Ware Co., Ltd.
Langpai Sanitary is primarily a manufacturer of bath accessories such as towel racks, shelves and robe hooks. It also manufactures some faucets. The company sells in China under the Gao-Gao brand. Lota is an ODM / OEM manufacturer for other faucet companies and does not sell its own brand of Lota faucets in North America. SRDesigns, Inc. is a California corporation that, according to its website, was formed in 2008 by Steve and Marcy Ragan to design and build customs homes in the San Diego area. It also sells faucets under the Beatifaucet brand. 1. The trade name Luxice is owned in the U.S. by Fangfang He, 256 Tang Chuan St., Tangxia Town, Ruian, Zhejiang China. Registered May 10, 2016. 2. Tthe address is a private residence. 3. Wenzhou Fyeer Sanitary Ware faucets are also sold under the Hiendure brand. Our panel of consu­mers and industry professionals has recognized Moen fau­cets as a best value runner up for mid-Priced fau­cets made in North America. Molisi sanitaryware Co., Ltd. is a subsidiary of Chia-Hui International, Inc., a Taiwanese company. Molisi manufactures bathtubs, faucets and other bathroom accessories, that are made for the export market. The company sells in the USA, Canada, UK, Germany, Czech Republic, Romania, Japan, Korea, Italy, Spain, Australia, New Zealand, the Middle East, and Southeast Asia. 1. Molisi sanitaryware Co.,ltd. also trades as Morris Sanitary Ware (HeShan) Co., Ltd.
Zingcord sells as Ouku and Zingcord Home. The company owns both Zingcord and Ouku as registered trademarks in the U.S. It selects faucets from several Chinese suppliers and changes suppliers often. In addition to faucets, it sells tub fillers, shower systems, bath accessories(such as towel bars and robe hooks), and hand painted wall art. 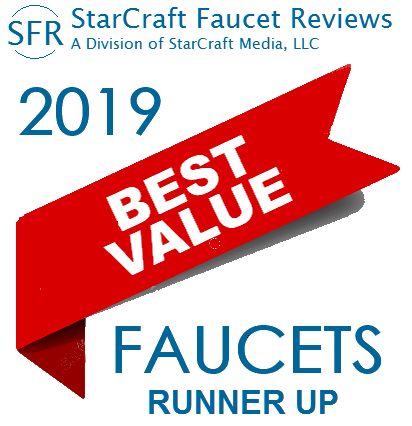 Our panel of consu­mers and industry professionals has recognized Paini fau­cets as the best value in mid-priced faucets made in Europe. Our panel of consu­mers and industry professionals has recognized Perrin & Rowe fau­cets as a best value runner up luxury fau­cets made in Europe. Zhejiang Compass Import & Export Co., Ltd.
"All parts of this Plumb USA faucet are warranted to the original retail purchaser to be free from defects in material and workmanship for [a] period of Ten (10) years from the date of purchase … Warranty does not apply to special or living surface finishes such as Oil Rubbed Bronze, Dark or Old Bronze as living finishes will change over time as a result of a normal process and may look different than at the time of purchase, therefore these items are warranted for functionality only." Elite Plumbing Fixture Co Ltd. Sales of Porcher and which will honor its warranty on its former lines of luxury faucets. The company claims to offer a warranty but does not specify a warranty period. Some faucets indicate a 10-year warranty but for most faucets, no warranty is mentioned. The company has been unable to provide us with a copy of its written faucet warranty. This company claims that its faucets are certified to North American standards. We have not, however, found any listing certificates for Purelux faucets among the seven accredited agencies authorized to test and certify faucets for compliance with North America standards. We conclude, therefore, that the claim is not true. The company does not disclose its physical address on its website, nor provide contact information other than an e-mail address. In our test of responsiveness, the company answered our inquiry within 1 business day. We consider the response adequate. Xiamen Runner Industrial Co., Ltd.
Wenzhou Rozin Sanitary is a Chinese manufacturer of metal fittings, fixtures, and accessories for the bathroom. It does not manufacture porcelain fixtures such as tubs, sinks or toilets. The company owns the trademark Rozin in the U.S. Superwater is purely a trade name. It has no physical presence in the U.S. other than trading through hosting websites such as Amazon. Wenzhou Rozin Sanitary Wares Co., Ltd.
Our panel of consu­mers and industry professionals has recognized Rubinet fau­cets as a best value in luxury fau­cets made in North America. Wanta is one of the largest and more elusive of the black market sellers on Amazon. It is a trading enterprise located in Ruian, China. It sells or has sold faucets under the following trade names: Rozin, Koko, Detroit Bathware, Becola, and Hiendure as well as Senlesen. The U.S. trademark Senlesen is registered to FangWei Wu, the CEO of Ruian Quiteng. The trade name Shaco is registered by an individual, Xu Wenjie, 14 Nan Dong Yi Lu, Nanjie Town, Guangning, Zhaoqing 526300 China. Foshan Yajiasi Kitchen Cabinet Co., Ltd. is a Chinese cabinet and furnishings manufacturer, primarily for the export market. The company also imports and sells lighting fixtures and sanitaryware, including faucets. It does not manufacture its own faucets but imports them from various Chinese export brokers and manufacturers. 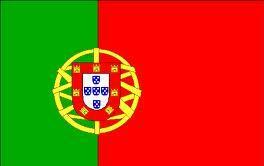 It has no physical presence in the U.S. or Canada but operates solely through hosting websites such as Amazon. Yajiasi Kitchen Cabinet also trades as Comllen, Friho, Hotis, Vapsint, and VC Cucine. American Faucets and Coatings Corp.
Light in the Box Limited is an Amazon-like e-tailer based in China that sources Sprinkle brand faucets from many different manufacturers. The Chinese trade name Sprinkle is registered by Light in the Box Limited. The name is not registered as a trademark in the U.S. or Canada. Sign of the Crab, L.L.C. Our panel of consu­mers and industry professionals has recognized Toto fau­cets as a best value runner up for mid-Priced fau­cets made in Asia. UFaucet is a registered trademark owned in the U.S. by Tian Cai Yang. 1. Wenzhou Yutong Technology Co.,Ltd. also manufactures faucets sold under the Beatifaucet, Greenspring, and Yodel brands. The trade name Vapsint was registered by Zeng De Ju (an individual), 8 Xibian St. Shen Village, Beijiao Town, Shunde District Foshan City, Guangdong, China 518000. Mr. Ju also owns the VAPSINT trade name, see above. Yajiasi Kitchen Cabinet also trades as Comllen, Friho, Hotis, Shaco, and VC Cucine. Yajiasi Kitchen Cabinet also trades as Comllen, Friho, Hotis, Shaco, and Vapsint. HK VC Cucine Kitchen & Vanity Co., Ltd.
"The warranty period device is 12 months (1 year) from the date of delivery....[A]ll of the defective products must be returned to the factory to be repaired or be replaced." Volvey Sanitary Ware Co., Ltd. is a designer and manufacturer of faucets. It sells in North America under the Volvey and Wovier brands, both of which registered trademarks of the company. Volvey Sanitary Ware Co., Ltd.
Globe Union Industrial Corp, Ltd.
Our panel of consu­mers and industry professionals has recognized Watermark fau­cets as a best value runner up for luxury fau­cets made in North America. Our panel of consu­mers and industry professionals has recognized Waterstone fau­cets as a best value runner up for luxury fau­cets made in North America. The trademark "Wellington" has been registered for nearly all products and services from water crackers to dressage but not for plumbing fittings or fixtures. The two companies should not be confused. Premier, a brand owned by Internline Brands (a division of sells faucets that are fully certified and legal for sale and installation in the U.s. and Canada. Yescom USA, Inc. is a California corporation founded in 2002 and owned by Andy Dao Quang Lee. Mr. Lee also owns or has a significant interest in Aplus Capital Investment, LLC, and Adl Capital Investment, LLC, both California limited liability companies. Yescom USA is an opportunistic importer of goods, primarily from China. It will import anything on which it can get a good price. For example, a shipment received on April 17, 2018 included faucets, display cases, flashlights, wall-mounted grow lights, menu holders, bed frames, rabbit cages, wireless rear view cameras for automobiles, gardening tents, umbrellas, tattoo machines, mini egg incubators and watch display boxes. It imports through a broker in China and not directly from any manufacturers. It's faucets and other sanitary wares are just a few of the many hundreds of different products in its inventory. They are sourced from diverse manufacturers. In fact, it is doubtful that anyone at Yescom knows where the faucets it sells are made. They are not, however, certified to U.S./Canadian standards and are not legal under federal law to sell in the U.S and are not legal to install in either the U.S. or Canada. Wenzhou Yutong Technology Co., Ltd. also manufactures faucets sold under the UFaucet, Greenspring, and Beatifaucet brands. It owns the Yodel and Greenspring trademarks in the U.S.